Why Balewell restaurant is special ? 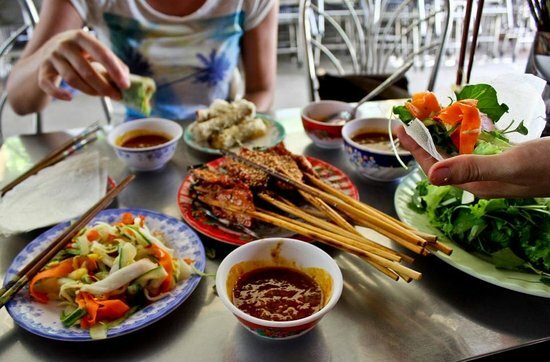 Hugely popular with Hoi An locals, you are more likely to hear it before you see it, and when you see it you will most probably wonder what all the fuss is about, as it’s not much more than a street food stall with communal bench table and plastic chairs. 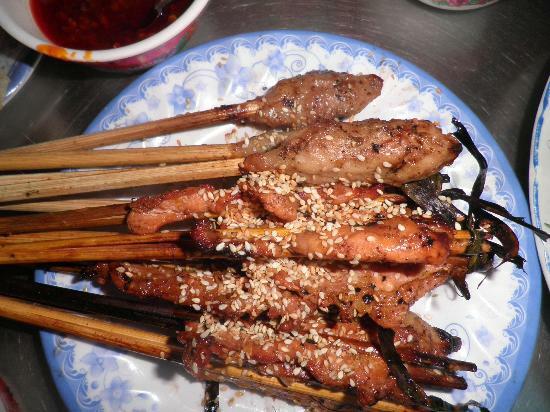 A barbecue laden with pork skewers lies at the front of the tiny restaurant, which specialises in the Hoi An version of country pancakes or banh xeo, as they are famously known throughout Vietnam. Bale Well is located down a back alley in central Hoi Ain, Vietnam. 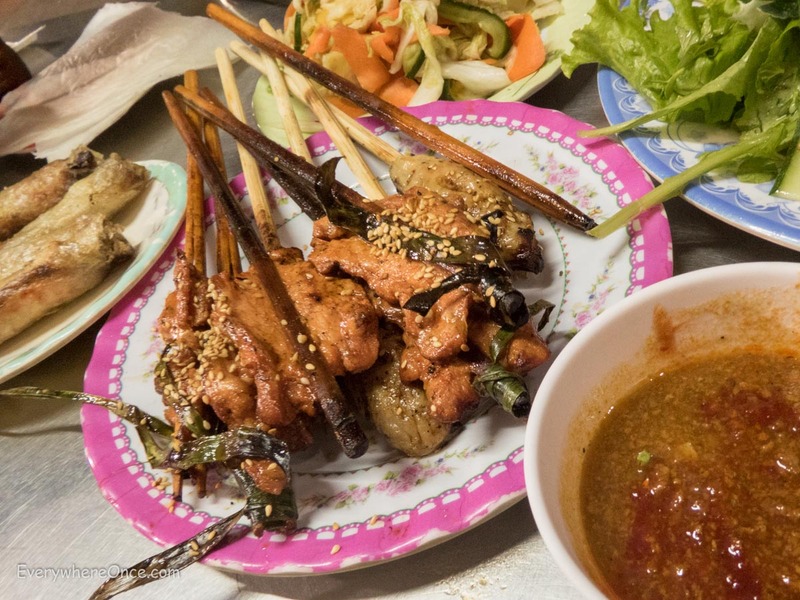 It is famous for a tasty Vietnamese lunch that consisted of Vietnamese rice paper wraps where special ingredients such as country pancakes, fried spring rolls, satay meat skewers, kimchi and vegetables were provided. There’s no real menu at Bale Well, just a set offering of fixings to make the tastiest rolls I’ve ever experienced. Ask for the set dish and you’ll get a buffet of pork, rice paper wrappers, rice pancakes (called bánh xèo, and considered to be one of the iconic Hoi An street foods), a basket of fresh herbs (coriander, mint, Asian basil), and dipping sauce. How to get to Balewell restaurant? “One of the strangest, most delicious dining experiences ever." There is another restaurant right out front named bale well (the real one is in the alley) that seems to prey on tourists who are actually looking for this one. Make sure you keep going back the alley to find it. They also do a 9 am cooking class each day that is worth the experience. Just sit down and they will bring you your food. You just need to order drinks. We were told about a place that sells pancakes so we thought we would drop in for a snack before finding somewhere for dinner - wow were we wrong. This place is so popular and for good reason ... lucky timing allowed us to get a table and we were served as soon as we sat down as this is a set menu...which helped with the language barrier. This was definitely not just a snack ... this is a full on meal with amazing rice pancakes made in front of you with meats, greens and more. Also, extremely reasonably priced, you will not walk away hungry. We had a delicious meal at Bale well. The spring rolls were delicious and the staff were fun and entertaining. Meal and drinks (so much food) 330,000 dong. Not to be missed if you are in Hoi An. The spring rolls are delicious but what really makes a difference is the experience you get from eating at Bale Well. It is a family owned restaurant and they make you feel at home right away! I don't eat meat and they were very accommodating cooking fish just for me! :) You can be sure your belly will be full going in out of there and the prices are very fair (120K VND per person). 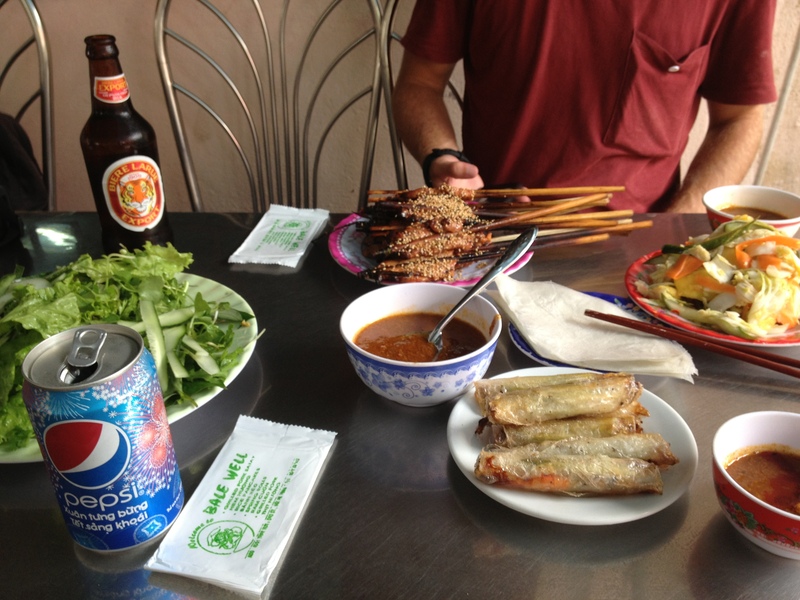 If you visit Hoi An, you have to stop there for supper!